Learn how to start and configure a Wallboard for your classroom. Every RedCritter Teacher subscription includes a powerful Wallboard. The wallboard showcases student successes as they happen, for the entire class to see. By socializing accomplishments the entire class is inspired to do their best. Best of all, to use this feature all you need is a computer connected to the Internet and a large screen. The RedCritter Teacher wallboard supports three different views to supplement your teaching technique. You can toggle between them simply by pressing the “Switch view” button on the wallboard or your mobile device. Also when you switch classes in RedCritter Teacher, or your mobile app, the wallboard will automatically change to show the current period. This view mirrors the seating chart that you have configured in RedCritter Teacher. 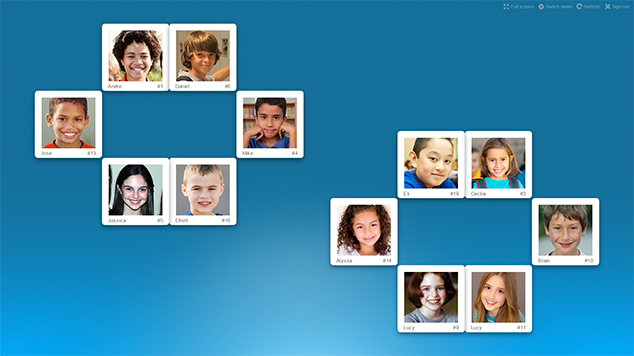 You’ll see your actual desk layout and each student’s profile photo on their assigned desk. When you give out badges, certs, skill points, rewards points or certs the student receiving the reward will be briefly showcased for the class to see. This view will also keep a running point total for each student during the session. This view shows a list of recent activity and also briefly highlights students when they receive positive recognition. If you haven’t configured your seating chart for the class you can use this view to showcase student learning achievements. This is an exciting way to create and manage collaborative class-wide goals for the day. 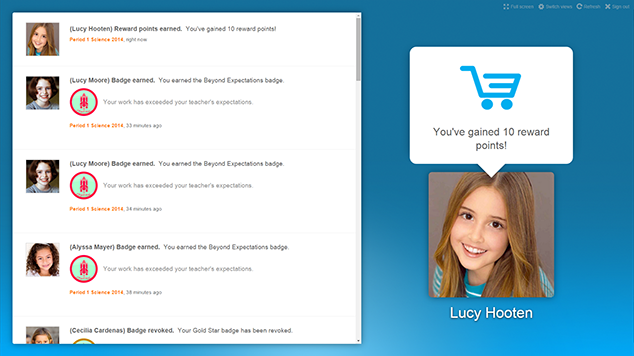 It allows you to configure and display your desired number of skill points, badges or action points that you want the class to collaboratively earn for the period. 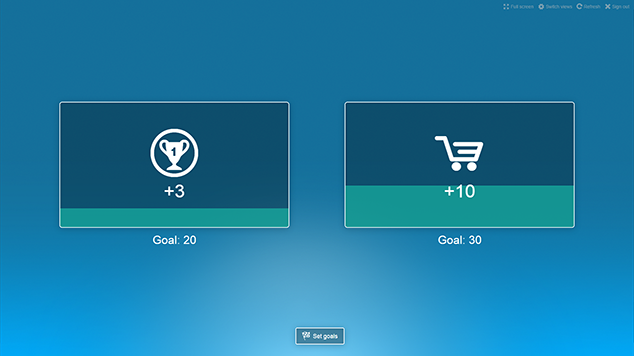 As students earn recognition it is applied to the class-wide tally and progress towards your goal is shown. Recognizing students' accomplishments in real-time adds a dynamic and exciting way to visualize successes in your classroom. 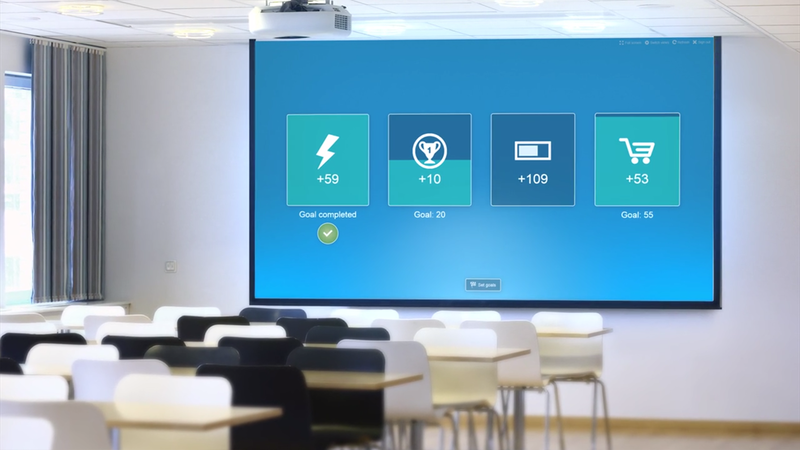 Our wallboard will inspire your students to make an extra effort to succeed.